Arjun Kapoor wrapped up shooting for the romantic film "Namaste England", directed by Vipul Amrutlal Shah and produced by Reliance Entertainment, Pen India Limited, Blockbuster Movie Entertainers. Apart from Arjun Kapoor, the film features Parineeti Chopra in the lead role. It was a thirty day long schedule in London and looks like the cast had a good time shooting for the film. 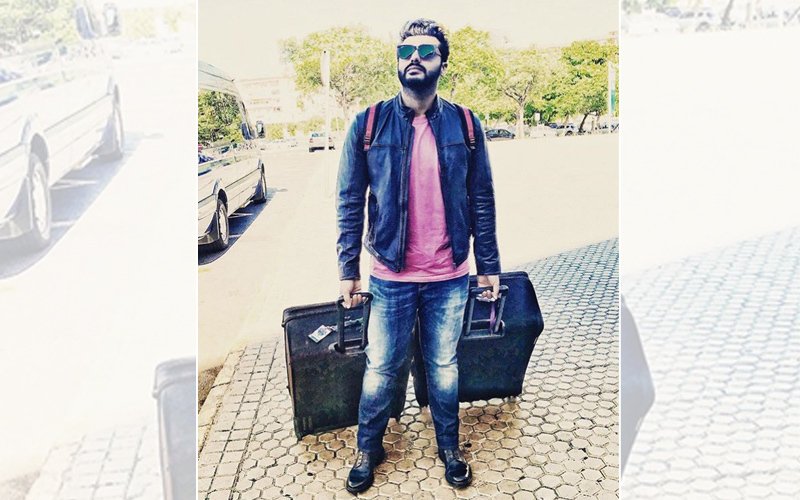 Arjun just returned to Mumbai and he took to Instagram and expressed his feelings by posting his picture. He said, "It’s been an amazing month from Seville to Madrid to Paris to Brussels to London! Definitely an adventure of a lifetime in 30 days... Watched lots of football, met amazing people, travelled, shot a film, spent time with family & friends, shopped till I dropped, chilled and recharged myself. Forever grateful & blessed. Now time to head back and keep my head down and work even harder... "
On the workfront, Arjun kapoor will be seen in "Sandeep Aur Pinky Faraar", "India’s Most Wanted" and "Panipat".